Justin Ishmael just released a surprise new colorway for Craig Gleason’s The Ghoul! If you missed out on Ishmael’s first release of this exciting new figure, here’s your chance to add Gleason’s The Ghoul to your collection! The unpainted “Blue Boy” The Ghoul is cast in blue soft Japanese vinyl, stands 5” tall and features 3 points of articulation (head and hands). 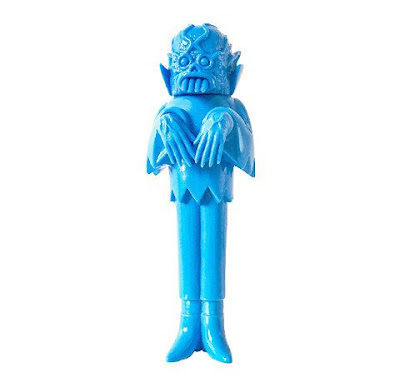 The Blue Boy The Ghoul Sofubi is currently available for purchase at JustinIshmael.com for just $30.